Review the Planning, Conduction and data-gathering phases of the Investigation into Body Temperature and exercise. Complete the Guided discussion below, swap with your shoulder partner and review. Mammals have specialized blood vessels in their palms and other hairless skin surfaces—ears, nose, cheeks and soles of the feet—that are designed to dissipate heat. (These radiator-like structures—venous plexuses and arteriovenous anastomoses—were described as early as 1858 in Gray’s Anatomy.) By redirecting blood away from the capillaries and into these blood vessels, the body can shed heat quickly. Homeostasis is the term used for the concept that the internal conditions of the body are kept in fairly stable range even though we change the conditions. The mechanism is negative feedback. We digest carbohydrates to the simple molecule glucose. When glucose levels rise in the blood. The rise in blood glucose levels is called a stimulus. The body systems respond to reduce glucose levels. When our muscles are contracting during exercise they produce heat energy. The rise in temperature is a stimulus. In a mammal the body systems respond to lower body temperature. When muscles of a lizard (an ectotherm) are contracting during exercise they produce heat energy. The rise in temperature is a stimulus. Reptiles behave in a way to lower body temperature. On a cold morning in winter our body temperature may fall. The fall in temperature is a stimulus. In a mammal the body systems respond to raise body temperature. On a cold morning in winter body temperature of a lizard may fall. The fall in temperature is a stimulus. Reptiles behave in a way to raise body temperature. 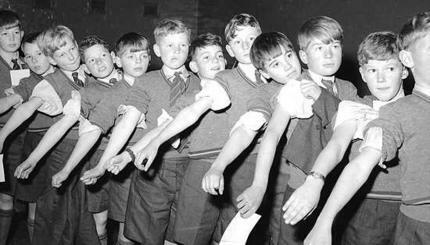 When I was your age many children suffered from Poliomyelitis (or "polio"). I remember a girl in my primary school class who had to wear calipers on her legs. 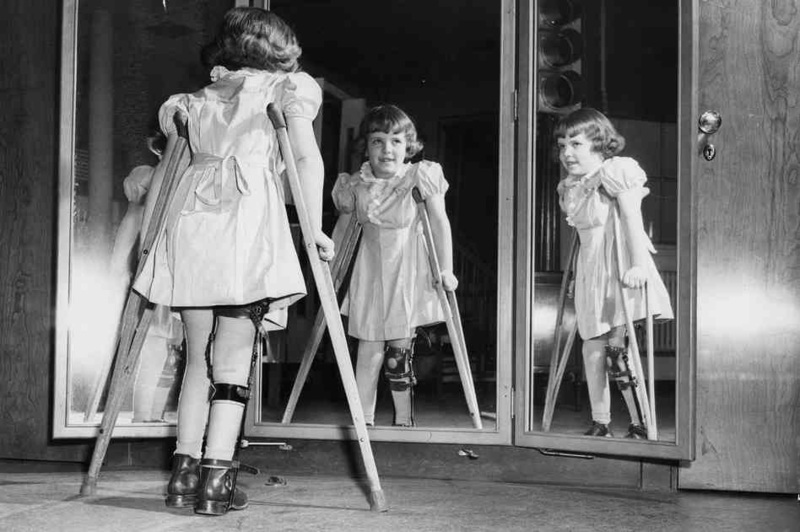 My Aunt had polio as a child and the result was that one of her legs was shorter that the other. She always wore a built-up shoe so that both of her legs appeared the same length. Many people who contacted Polio were either paralysed or died. Poliomyelitis (or "polio") is a viral infection.The World Health Organisation reports that "many countries have eliminated indigenous polio and in some instances more than ten years have passed since the last reported case of polio." Explain how polio may be contracted. 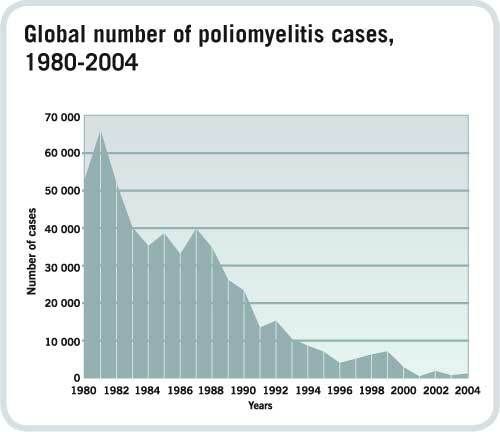 Suggest why the global numbers of poliomyelitis have fallen since 1981. We can use the model of the body as a fortress to understand how the Immune system keeps a stable internal environment. 1. What is meant by the term "line of defence"? 2. Which line of defence involves the control of the Immune system? 3. What are pathogens? Give an example. 2. Complete the Investigation Report. Use the Template as a guide. 3. Complete the Pathogen Wanted Poster. 4. Complete the Text Questions on the Program for the Immune system. 5. Start work on the concept of the Ecosystem by reading the text chapter and completing questions listed in the program.